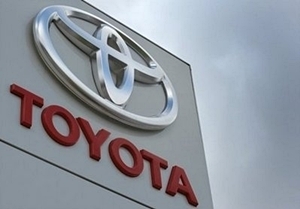 BANGKOK, Nov 21 – Toyota Motor Thailand Co., Ltd. on Monday partly resumed production of sedans and pickups at three plants after the worst Thai flooding in decades forced them to temporarily shut down in October due to supply chain disruptions. Toyota’s three plants located in Samut Prakan and Chachoengsao were not flooded but suspended operations Oct 10 after flooding submerged industrial estates in Thailand’s central provinces. The three plants manufacture about ten models including pick-up trucks and sedans with a total output of 630,000 units last year. Isuzu Motors Co., Ltd. also resumed output in Thailand on Monday. Four other Japanese automakers–Nissan Motor Thailand, Mitsubishi Motors Corp, Mazda Motor Corp, and Hino Motors–resumed production last week. Mitsubishi Fuso Truck and Bus Corporation (MFTBC), an Asia-based commercial vehicle manufacturer announced it would resume production in Thailand late this week. Although Thailand-based Japanese automakers can resume output, parts shortage is still possible and it is expected to take some time before auto production will return to normal at full operation. Only Honda Motor Co., Ltd could not restart operations as its plant in the Rojana Industrial Estate in Ayutthaya is still under water. Thailand’s flood hit the auto industry hard, with all eight Japanese automakers here forced to suspend production in October.